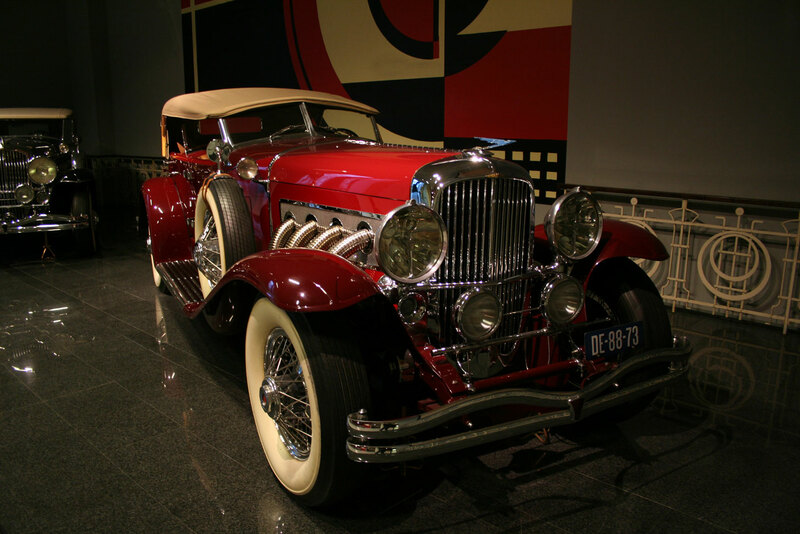 When E.L. Cord, the owner of Indianapolis-based Duesenberg, Inc. told Fred Duesenberg to design the best, biggest, fastest, and most expensive car in the world, the Model J was the result. And it was a success – it was the fastest American-made car (top speed of 119 mph), with the most powerful engine (210 horsepower), and the most expensive – a completed Model J cost $13,000 to $19,000, or even more in some cases. To give you a little context, at the time a doctor earned less than $3,000 per year. The Model J was not only pricey, beautiful, and powerful, but also technologically advanced – it featured dashboard lights that alerted the driver to the need for an oil change or a battery check. 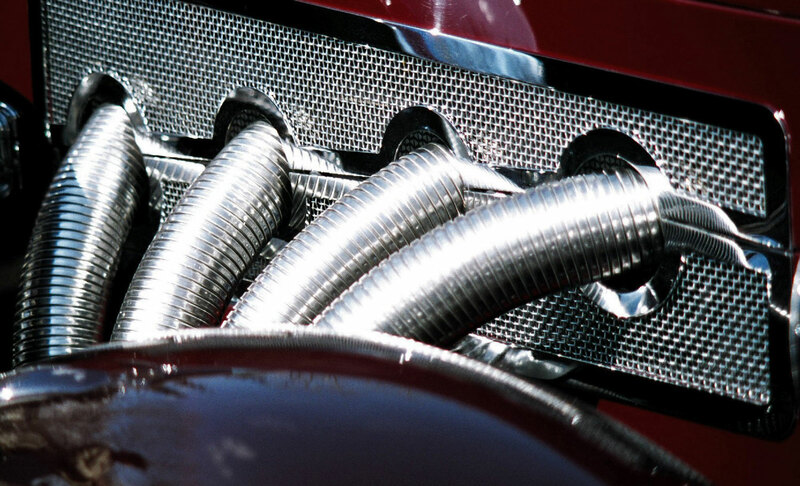 “Dual Cowl Phaeton” refers to an open car with no windows in the body (phaeton), with the front and back passengers separated by a “cowl” or bulkhead. 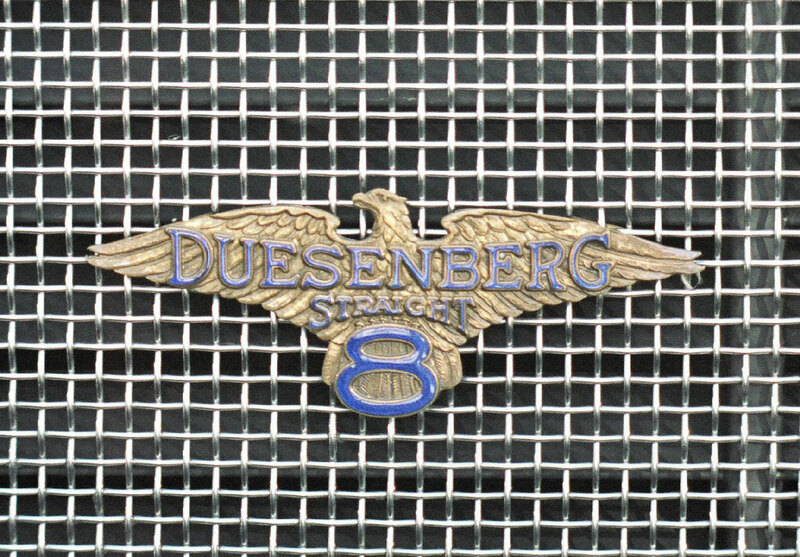 Around 475 Model Js were produced before Duesenberg Inc. collapsed in 1937. Thanks, Steve! We have a lot of fun putting these together and it’s great to hear that you like this one. You can find all of our other posts like this one here.